Linden's Irish Pub is a special place with an interesting story. Anki Linden, former General Secretary of the United Nations, Nobel Prize Winner for Chemistry and keen knitting enthusiast, has led a life full of twists and turns that ended up on the corner of Hirsch- and Gartenstrasse in Karlsruhe, Germany. In all seriousness, this pub on the corner was previously known and beloved as Flynn's Inn Irish Pub. After 15 years, Dave Flynn made way for long term manager Anki to realise a lifelong dream and own her own pub. 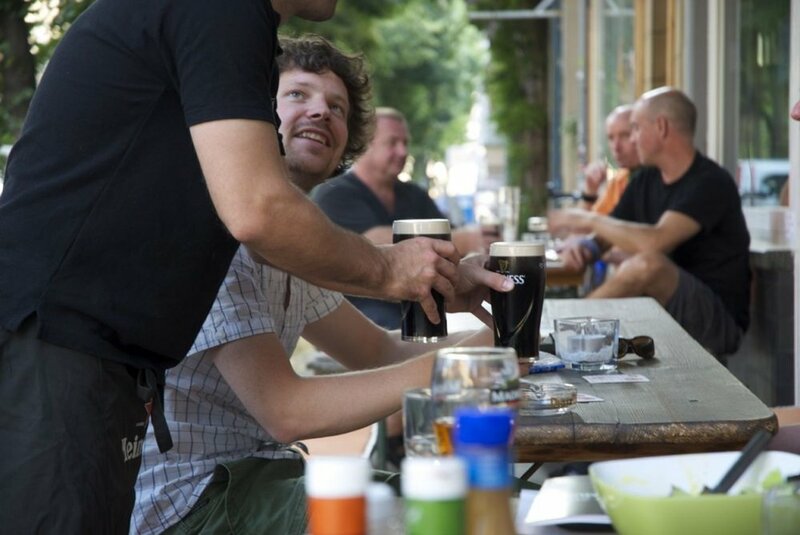 Linden's Irish Pub is like a living room for all of its locals; featuring excellent food, a wide selection of drinks and plenty of great goings-on. 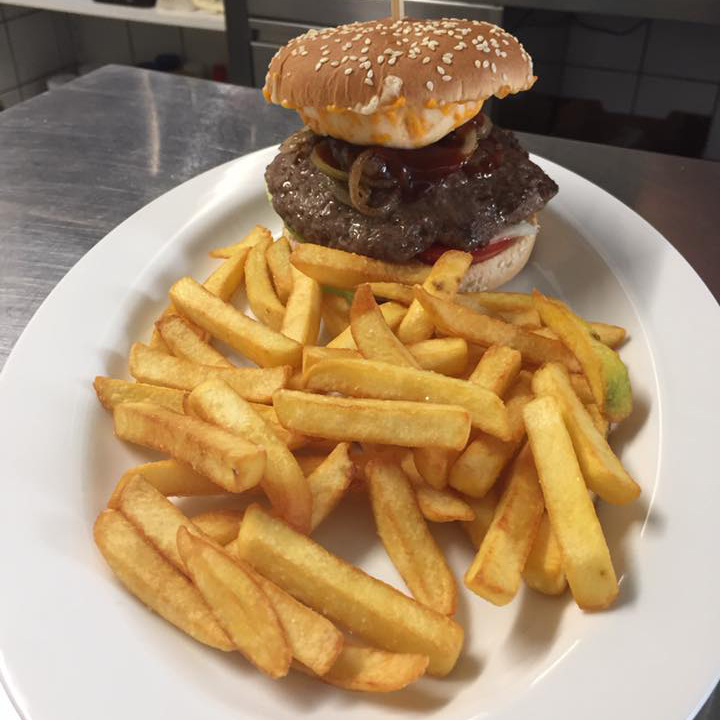 Linden's kitchen is open Monday - Saturday from 6pm to 10pm. Every Fridays we have Fish 'n' Chips, and on Saturdays you can enjoy our Special Burger Menu. Our Head Chef Ivan is a culinary artist, so watch out for his seasonal specials. The Drinks Menu at Linden's Irish Pub is a fluid phenomenon in more ways than one. Naturally Guinness and Kilkenny are on draught. There is also a regular influx of new and different beers, ciders and wines from around the world. If you have any questions, comments or feedback please just use the form below to contact us. We look forward to hearing from you!